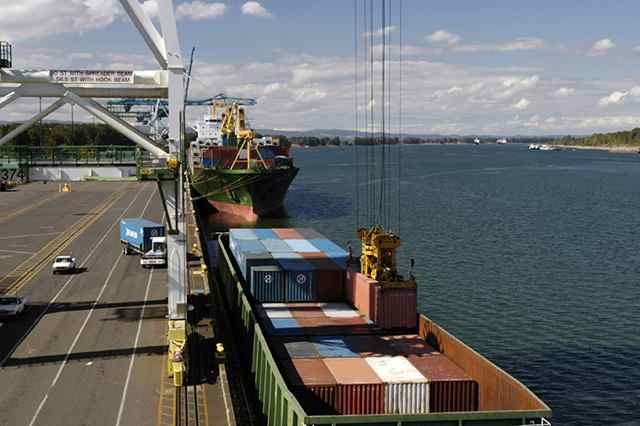 but recent reports suggest some smaller ports are suffering from the modernisation. Halted container shipping at Terminal 6 of the Port of Portland is often blamed on the labour disputes that occurred between the operator and the longshoremen's union, however Capital Press have reported that even if this were resolved, the Port's problems run much deeper. Keith Leavitt, the port's chief commercial officer, said: "Ocean carriers ordered gigantic "megaships" nearly a decade ago that can carry a huge number of containers with the idea of improving efficiency. "The new "megaships" carry up to 25,000, 20-foot-long containers, but the Port of Portland can only handle ships that carry 7,000 such containers, The megaships are just not going to be calling on the Columbia river." PTI reported as long ago as August, 2015, that Portland was on a list of small and medium sized ports at risk of closure, but the port has managed to survive. Questions have been raised over the post-Panamax Meg-Ship era and its lack of inclusivity for those ports either unable or unwilling to modernise. There have also been concerns at some ports over the environmental impact dredging may have; the Port of Santos, South America's busiest port, was shut in August 2016 due to flooding, which many environmentalists and experts claimed is due to dredging in preparation for the handling of larger TEU capacity ships.